Do you require a plumber in Tooting? Great! The Handy Squad is here to give a helping hand. 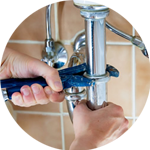 Whether you need your plumbing devices replaced or you need help unblocking your bath or shower, our team of professionals will resolve any potential plumbing issues you might have. 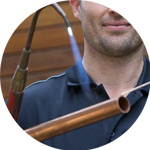 Our team have been successfully completing plumbing tasks in London since 2005 with precision and ease. Why not give your local Tooting plumber a call? Located in South London, Tooting has Balham to the north, Streatham to the east, Colliers Wood and Mitchan to the south and Wimbledon to the west. The area boasts the UK’s biggest freshwater swimming pool, Tooting Bec Lido. It is also home to St George’s Hospital, which was featured in the Channel 4 documentary series 24 hours in A&E; the first London County Council cottage estate built between 1901 and 1911 and the Broadway Market, one of the largest indoor markets of London, having more than ninety stalls. The Handy Squad covers the whole of Tooting, as well as its neighbourhood areas, such as Mitcham, Merton and Wimbledon. 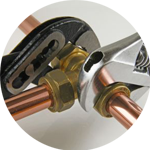 So, no matter where you are, our London plumbing team will be right at your doorstep to give a second pair of hands. 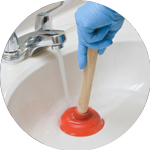 Our team specialises in rod drains, installing valves and joints, repairing sinks, replacing toilets and much more. If you are looking for other handyman services, our Handyman London team offers moving services, carpentry, jet washing and much more.